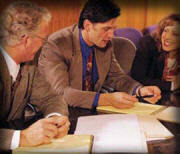 Attorneys: What are the Advantages of Litigation Funding to My Client? Pre-settlement litigation funding allows you, the attorney, to help those clients to receive a much larger settlement: if they could just hold out a little longer. It gives you the advantage of time to use your negotiating skills to achieve the maximum settlement for your client!